This special exhibition uses burgeoning augmented reality (AR) technology to engage visitors while highlighting The Dali’s complete collection of its popular, “Masterworks.” Coined by Dali Museum founder A. Reynolds Morse, the term “Masterworks” refers to paintings exceeding five feet in height or width that occupied Dali’s imagination for at least one year – in other words, they are both monumental in scale and critical Dali paintings. 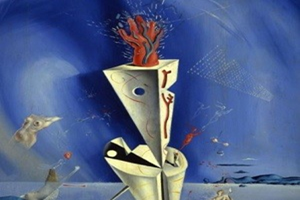 Through this exhibit, Museum visitors have an opportunity to gain a deeper understanding of the meaning behind these Salvador Dali works through the lens of AR. 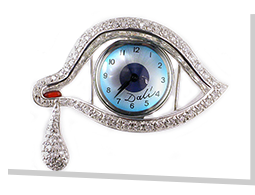 The Dali Museum owns eight Dali Masterworks, the highest concentration of Masterworks of any institution in the world. Visual Magic: Dali’s Masterworks in Augmented Reality showcases the Museum’s commitment to embracing new methods to engage guests in unconventional ways and to delight and educate them about Salvador Dali and his artwork. 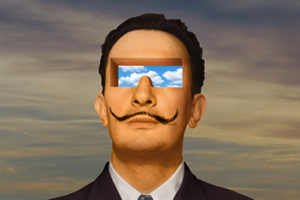 Dali himself constantly challenged reality in his work and life, and explored the emerging technologies of his time. We believe he would enjoy AR as an interpretive aid to his multilayered, complex images. Viewing each Masterwork through the Dali Museum app on a mobile device, visitors see the paintings come to life, highlighting and exploring their complexities. The details featured in the AR experience are based in part on common questions and challenges Museum-goers have about these works, providing a more meaningful understanding of Dali’s canvases. Those who have seen these paintings are invited to look again and experience them in a whole new way. Visitors who do not have their own devices with them are invited to use complimentary devices available at the Museum, included in the price of admission. This first-of-its-kind exhibition dedicated to the world’s two most celebrated surrealists opens Dec 15, 2018.